Kristen Resendez had a normal pregnancy and, two years ago, brought home a healthy baby boy, Jack. Four weeks later, Jack couldn’t move. After a bevy of tests, Jack was diagnosed with spinal muscular atrophy, a neuromuscular disease that shuts down muscle use throughout the body. Resendez said her doctor told her that children with Jack’s form of SMA rarely live beyond 6 months. “I took Jack home and let myself cry for 24 hours, but then got back on my feet and told myself, 'What can I do? '” Resendez said. Resendez signed Jack up for a new treatment called Spinraza, which she said allowed Jack to beat his doctor’s assessment and grow into a lively 2-year-old. 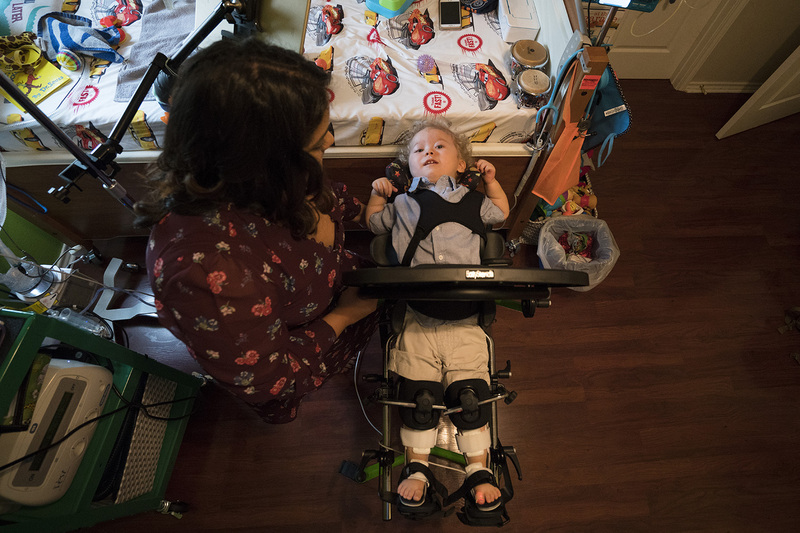 The FDA approved Spinraza in December, and now Resendez is part of a community of families pushing to get SMA added to a list of diseases for which Texas tests all newborns. 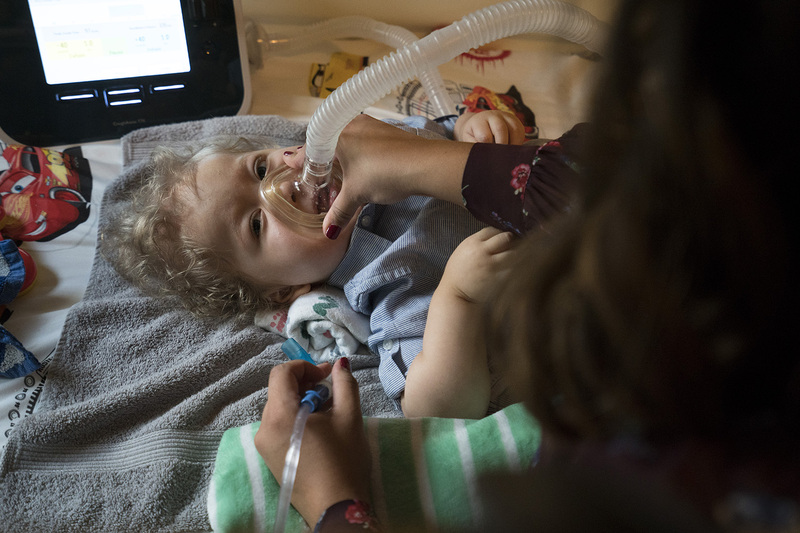 The Newborn Screening Advisory Committee, which advises the Texas Department of State Health Services on which diseases should be on the list, plans to discuss whether to recommend adding SMA at its next meeting, slated for Oct. 27. 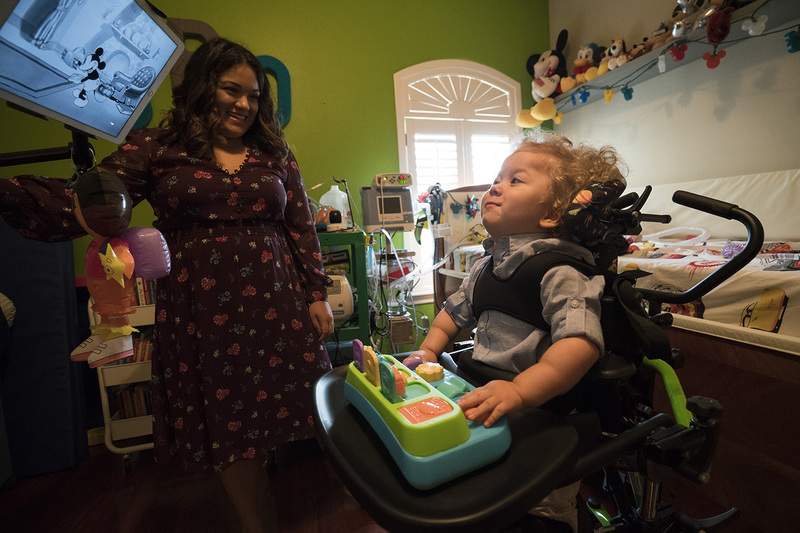 Only diseases with accepted treatments can be added to the list, and parents like Resendez are hopeful that the FDA approval of Spinraza will bolster their argument for adding SMA. The committee will also discuss other conditions not on the Texas list, including Pompe disease, MPS-1 and X-ALD. SMA is a genetic disease that causes damage to the spinal cord and blocks messages from the brain to muscles. The disease causes total loss of muscle use but does not affect a child’s ability to learn or think. Though affected children are often born appearing healthy, the disease can cause rapid deterioration, said Dr. Warren Marks, medical director of the Movement Disorder and Neurorehabilitation Program at Cook Children's Medical Center in Fort Worth. Marks estimated about 100 children are born with SMA in Texas each year. He said it's critical to detect the disease "as soon as possible," before symptoms appear, for treatment to be effective. Children who go without treatment until they develop respiratory failure will most likely die, he added. SMA is the most common genetic cause of infant death in the U.S. Blood samples of all newborns in Texas are sent to a testing lab in Austin, where the blood is tested for 53 conditions. The testing costs about $55 per child and is generally covered by their parents' health insurance. Medicaid- and CHIP-eligible children are screened for free, costing the Department of State Health Services more than $57 million last year. Recommendations by the Newborn Screening Advisory Committee are considered by the state health commissioner and are subject to available funding from the Legislature, said Lara Anton, press officer at the Department of State Health Services. 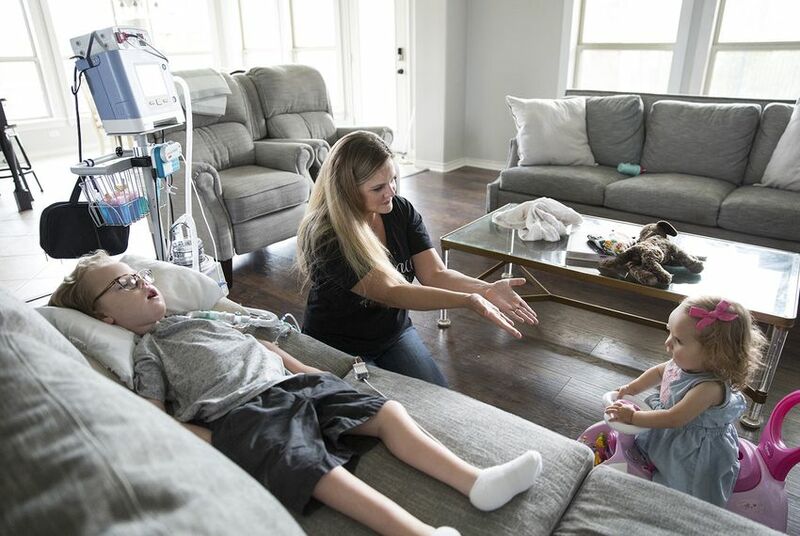 Resendez, who lives in Harlingen, and Beth Moore, a Forney mother of two children with SMA, traveled with their children to the committee's August meeting in Austin, where they asked members to put SMA on the list. Committee Chairwoman Dr. Charleta Guillory decided to formally discuss SMA at the October meeting, Anton said. With FDA approval for Spinraza, states including Massachusetts, North Carolina and Wisconsin are also considering adding the disease to their newborn screening lists, said Maria Spencer, vice president of policy at Cure SMA, a support and advocacy group for families affected by the disease. Over the summer, Missouri became the first state to add SMA to its required newborn screening list. Anton said the Texas Department of State Health Services has not created a cost estimate for testing for SMA. However, a National Institutes of Health study found SMA can be detected from the same tests for severe combined immunodeficiency, which is already on Texas’ mandatory newborn screening list. Dr. Alex Kemper, a pediatric professor and doctor at Nationwide Children's Hospital in Columbus, Ohio, said states need to consider additional costs aside from the initial testing when deciding to add a new disease to their lists. Babies who receive a positive result on the initial screening must also go through diagnostics tests for confirmation. Even if SMA can be detected from a test already on the screening list, there are additional costs for tracking test results, he said. Treatment for SMA can also be costly. Spinraza costs about $750,000 for the first year of treatment, then a subsequent $125,000 per injection. Still, Kemper said screening can prevent long-term care costs later in life, as well as save children's lives. He called newborn screening one of "the most effective public health interventions of the last 50 years." Moore's son William, 6, was born before Spinraza was available and remains bedridden. He uses a computer to speak with his eyes — the only part of his body he can move — and needs saliva suctioned out of his mouth because he can't swallow. After William tested positive for SMA, Moore had her daughter Mary tested in utero. The results showed Mary also had the disease. Children with SMA-positive siblings have a 25 percent chance of being born with the disease, Marks said. Jack started Spinraza treatment at 4 months old, when it was still a trial drug, and remains largely bedridden. Before he began treatment, the disease had already caused him to lose all control of his muscles, and he needs to be constantly connected to five different machines that clear his nose and mouth and help him breathe and eat. Jack uses a $12,000 medical bed, and the Resendezes are applying to Medicaid for a $30,000 power chair. He also has physical therapy sessions seven days a week. Many of Jack's medical expenses, which Resendez said have now totaled more than $1 million, are covered by Medicaid. If Resendez had been able to start treating her son before symptoms appeared, Jack may not have needed much of his medical equipment, she said. Moore plans to attend the meeting this month to continue demonstrating her support for adding SMA to the Texas list. She said she’s optimistic the disease will be added.